As you think about a career, think mobility. In today’s society, having a job you can take with you almost anywhere is a valuable asset. It’s amazing how many different technical programs propel people into great careers. TSTC Publishing recently started publishing tweets directly related to 40+ career fields at TechCareers on Twitter. Driving from Colorado to Texas last week, I passed a sprawling wind farm. Looking out my car window, I was struck by the power of those white turbines rotating wind above the stark, flat landscape. 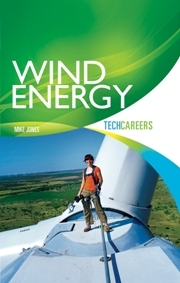 When it comes to technical careers, wind energy is blowing to gigantic proportions. TSTC Publishing recently joined the teaching staff of Texas State Technical College’s wind energy program to attend the American Wind Energy Association (AWEA) exhibition recently in Dallas.